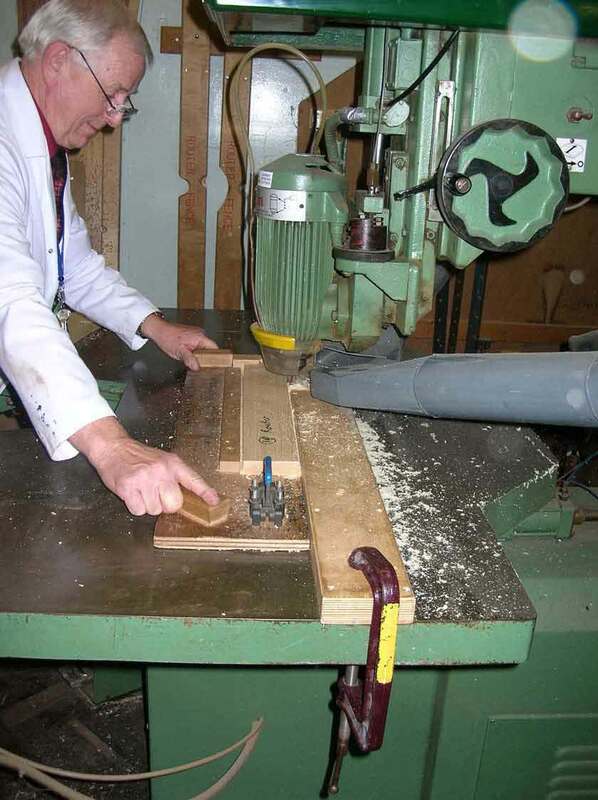 Used for re-bates and mouldings, generally one off-jobs rather than using a spindle moulder. 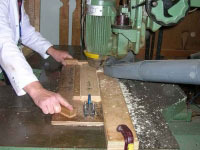 Also rougher cut than the spindle moulder as there are only two cutting edges, rather than four. Material is fed towards the direction of the cutters. 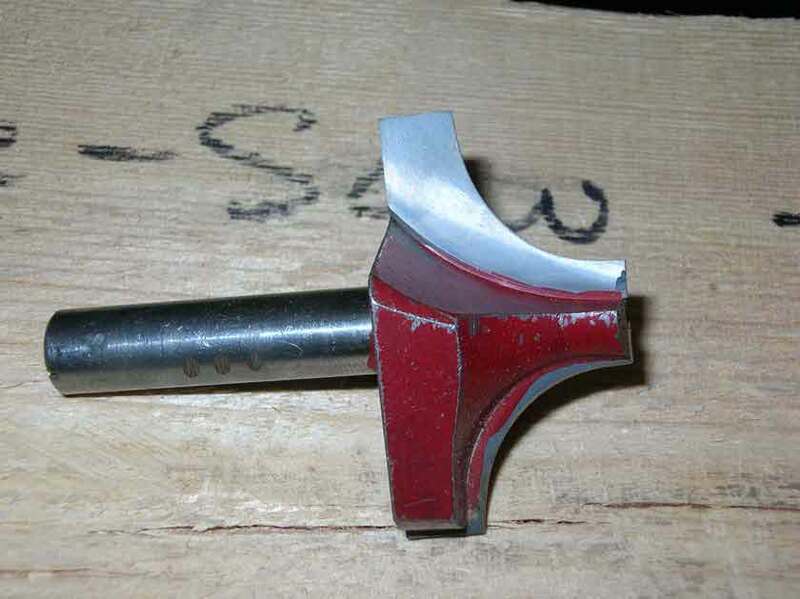 A jig and fence should be used for rebating. Also, the guard should be adjusted to be as low as possible. 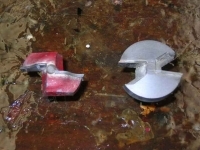 Old style cutters (red) have open cutters that can pull a hand in if contact is made. New cutters are built up, designed to force fingers away, rather than pull them in, in the event of contact. No chip limitation is required on any cutter if it is less than 16mm in diameter.